Running a peer-to-peer fundraising campaign doesn’t seem too complex. You ask supporters to create personal fundraising pages, and they ask their networks for donations. The more fundraising pages there are, the more donations you receive. Simple. This is all true; p2p fundraising is pretty straightforward, but this general simplicity can sometimes obscure the complexities that help the best p2p fundraisers achieve higher levels of success. One useful way of illuminating some of this nuance is to think of a peer-to-peer fundraising campaign as one long multi-step process. In the same way that sales organizations break down each interaction point with prospects from the moment they first become aware of the company’s product or service to the point when they finally make the purchase, nonprofits can break down their campaigns into discrete steps and work on optimizing each of those steps. Instead of tackling the entire process here, we’re going to focus on one step in particular, fundraiser activation, and look at strategies for optimizing it. Seasoned fundraisers know that you won’t get every person with a fundraising page to automatically start raking in money. While some of your supporters will become “active fundraisers” (raising at least $1), others will remain “inactive fundraisers” (not raising anything). Fundraiser activation is the step in the process where you look to make as many of the people with pages start raising money as possible. You can judge your success in this department by looking at the fundraiser activation rate, which is the percentage of people with fundraising pages in a given campaign that raise at least one dollar. Because the average active individual fundraiser will raise $568 from 7 donors, each time you turn an inactive fundraiser into an active one, you will increase both your donor pool and your ability to raise substantial amounts of money quickly. The first step is to keep an eye on your overall activation rate, identify your inactive fundraisers and create a communications plan that helps activate as many of them as possible. It’s a good idea to send one to three emails after a supporter has created a fundraising page to help orient and encourage that person to begin fundraising. Including a mixture of fundraising tips and inspiring stories can help empower supporters and keep them motivated. Keeping an eye on your fundraiser activation rate will help you determine whether or not these new fundraiser communications are having the desired effect. 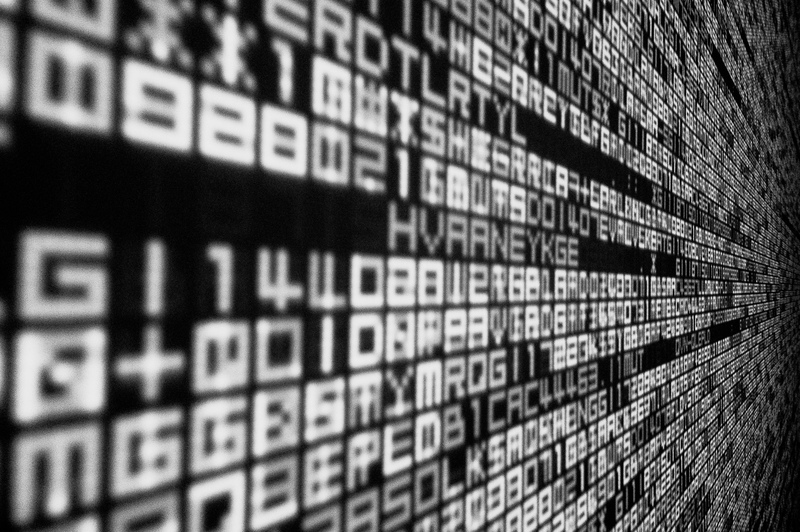 We’ve found that the average activation rate across our platform tends to hover around 50%. So, if you’re consistently beating this number, then it’s safe to assume that your onboarding emails are having a positive effect. Beyond simply having an email or two to help get fundraisers started though, it’s also a good idea to have another email to help jumpstart fundraisers that fail to get started. By segmenting your fundraiser list, you can get a closer look at the activation rates of different subgroups. With custom questions and the filtering options in the new reporting, you can segment fundraisers based on just about any criteria. Lets say you want to see how fundraisers with different favorite programs are faring in your latest peer-to-peer campaign. You would start by creating a custom question that allows new fundraisers to select their favorite program when they register. As the campaign begins, you can dive into your campaign reporting and easily filter based on the responses to that custom question you created. What’s particularly nice about this is that the rollup stats will automatically change when you filter your report. This allows you to compare performance metrics (including activation rate) across different subgroups. 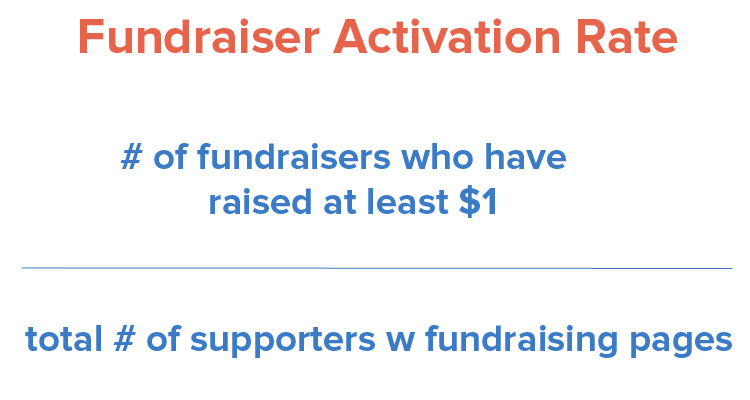 By segmenting like this you can see if any cohort among your overall group of fundraisers is significantly under or over performing when compared to your average activation rate. For example, lets say that you found that fundraisers with a particular favorite program were not activating at the same rate as other fundraisers, you might consider adjusting the content of your onboarding messaging specifically for this cohort (E.g. retooling your emails to focus more heavily on the favored program). Like many things in life, campaign optimization (of which fundraiser activation is just one part), is a process. Its an ongoing effort where you test, tweak, and save lessons learned for next time around. With custom questions and the segmentation options in the new reporting though, you have more tools available to you than ever before to speed up this process, and ultimately, raise more money for your cause.